An experienced music listener who is new to black metal asked for a doorway into the genre. This raises the question of how to appreciate black metal, which like most things in life is mostly mental preparation. Without context, black metal seems like any other loud genre, and it becomes harder to distinguish the newer tryhard junk from the original. The best way to gain context is to walk through the history of the genre from oldest to newest. This approach, common in art, literature and philosophy, allows people to see what developed from what and what the reasoning for that was and therefore, what the reasoning is behind what is here now. The result of this query was a simple list to urge people to explore this genre further. This list originates in the history of black metal music, but also in influences that can be identified among the bands as immediately relevant. Toward the end it extends more into general conjecture based on what shows up later in highly different form among the black metal works of relevance listed above it. Why not Hvis Lyset Tar Oss instead of their debut? Why Carnage and not Sentenced Far Away from the Sun or Necrophobic? Why not Transilvanian Hunger of Pure Holocaust ? This is an attempt at an introduction through history. The Burzum debut shows the basics of the black metal sound, same with the Emperor/Enslaved split. Absurd is included because it is good and a later (1998) recording. Carnage is emblematic of all that the Swedish style did well at its best. Otherwise, you would end up including all of the major releases, which misses the point. 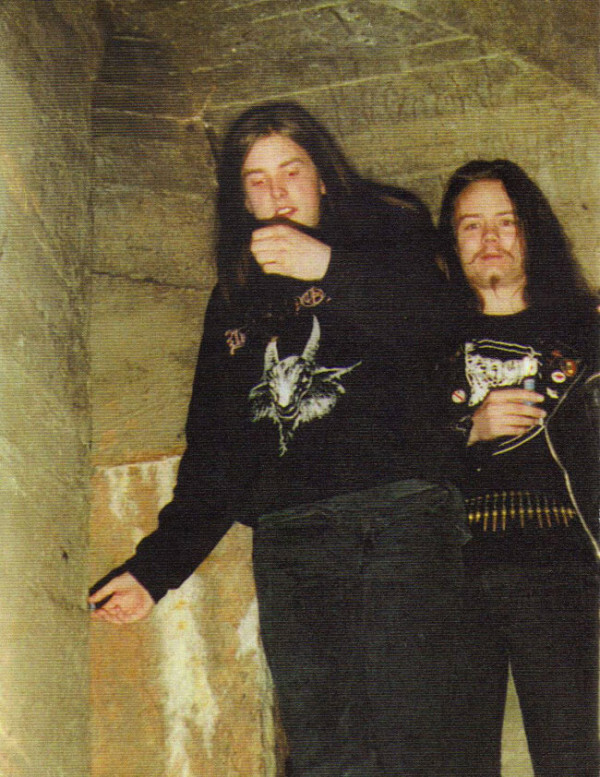 Same response to the question about Immortal and Darkthrone: I picked the earliest example of their mature style. Wasn’t Dunkelheit written before Burzum’s debut? I always thought that song was the best thing he did. I don’t understand the Carnage entry. Another thing: please do not consider this previous comment of mine arrogant in any kind. It was just a humble question. Check out Polyphony – Without Introduction. It’s actually composed quite like death metal. Instead of just dragging out the same theme and extending it to 20 minutes it makes a collage out of the variations of many subsequent themes. Venom – Possessed? Very few care about that album(or listened to it), how was it influential? Why not Welcome to Hell or Black Metal? It is important when talking about influence. Good beginning to what(in black metal)? If I’m misunderstanding “For heavy metal background to black metal:” I apologize. I would think Under the Sign rather than The Return. Fenriz says in that Until the Light Takes Us lecture that it was that album that got them all into black metal. The Return is THE definitive black metal album. It’s not proto-metal, it’s the first 100% raw black metal album. Mayhem, Immortal, Burzum and all the others are part of the Second wave, not the first. First wave is Bathory, Sodom and the likes.